If you are considering starting – or have just started – a career in the translation industry, this article may be for you. Here’s a challenge: if you had to choose a picture to describe the actual process taking place inside your brain when you translate, what would you pick? 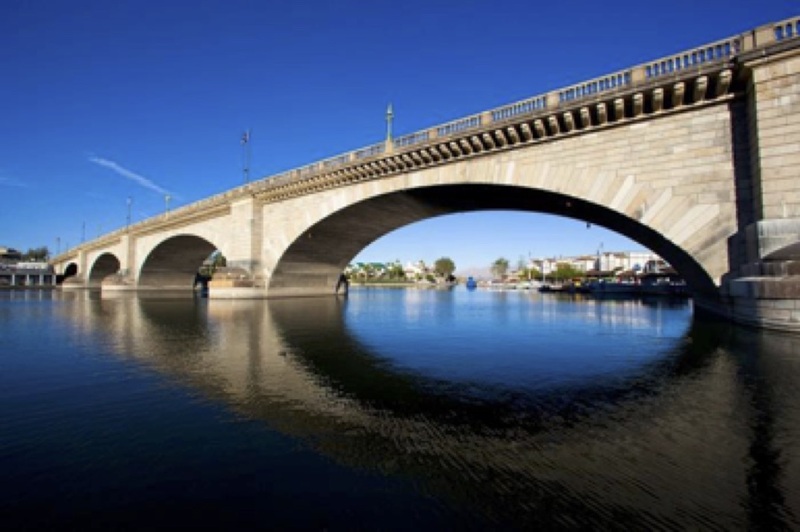 Personally, I would go for two pictures of one bridge: the London Bridge in Lake Havasu City, Arizona. 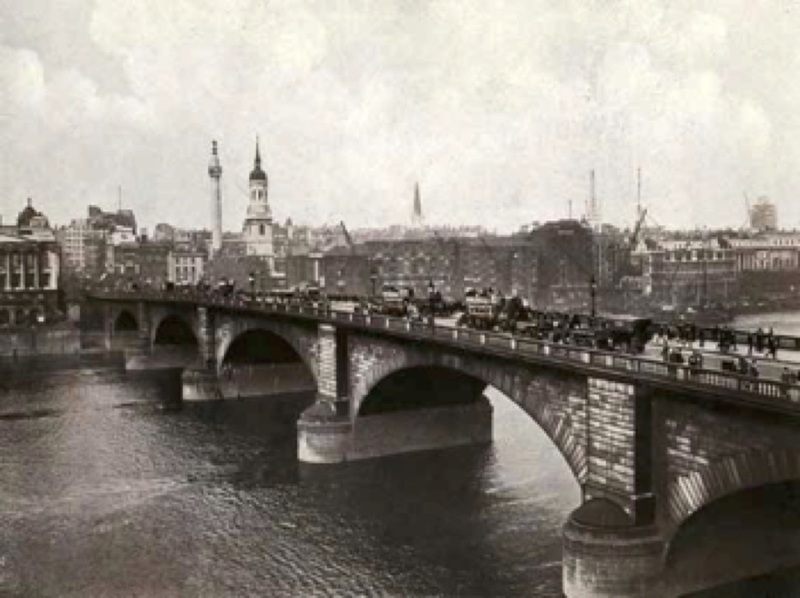 This architectural masterpiece has a unique story: it was first built over the River Thames in London, then dismantled, shipped overseas, and later rebuilt in Arizona. 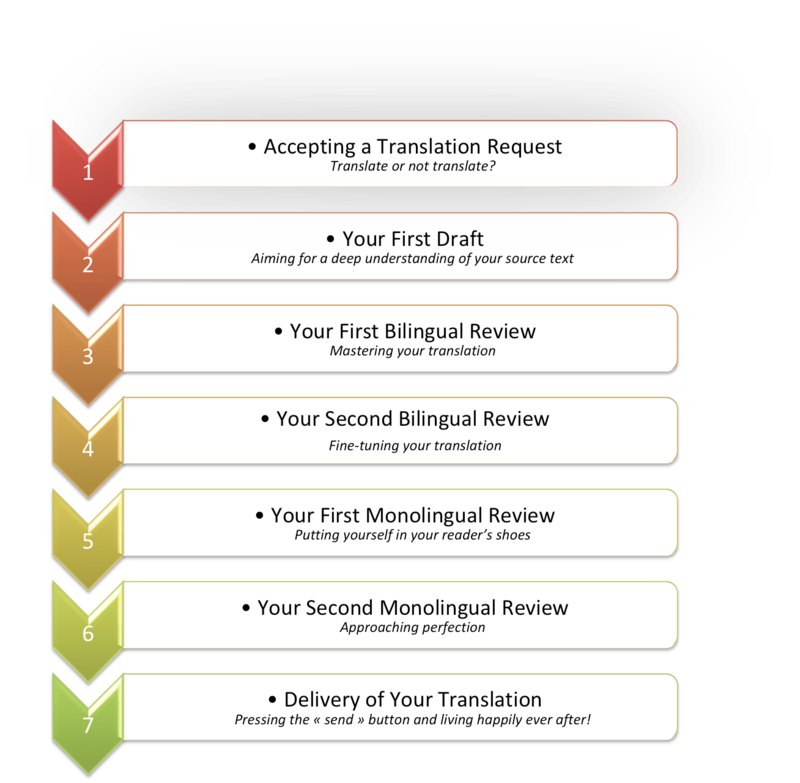 Every time we start a translation project, we go through a version of this same process. We dismantle the original text, ship it to its new cultural environment with its own set of stylistic requirements and intended users, and rebuild it in that new environment with the aim of executing a faithful version of the original text. Deliver a high-quality translation to the end client. Give positive feedback to the translator. Improve his/her own translation skills. Meet his/her own deadlines without scrambling to beat the clock. On the other hand, low-quality translation leads only to frustration. When faced with a translation that is substandard, the reviewer is forced to set aside the task of reviewing for that of re-translation, under much tighter deadlines than the translator had in the first place, to prevent the bridge from falling. indicates a useful tip. If you can complete the quiz answering “yes” to all 40 questions, you will be able to deliver top-quality work. While the methodology may not apply seamlessly to all situations without exception, it should at least give you some ideas for building your own quality control procedure for delivering top-notch translations. If you decide to give it a go, let me know how it worked for you at moniquelongton at msn dot com. Here is your opportunity to determine whether you can comfortably take on the project or not. If you can say “Yes” to the questions below, you can accept the project. If any doubts or concerns arise, don’t be afraid to talk to your project manager about them. This sends a message to the PM that you are geared towards producing quality work. 1) Do you have access to the source material? Never accept a request “blind” without first seeing the source text. 2) Do you truly understand the subject matter of the source material? Be brutally honest with yourself. It is impossible to render a correct translation without a complete understanding of the subject matter. 3) Do you have the right resources (bilingual dictionaries, terminology lists, papers, books…) to translate the source material, or do you know which client website(s) or forums you can go to in order to find the information you need? Make sure you have the right paper/electronic tools for building your translation and expressing yourself as an expert on the subject would. 4) Do you have the style manuals you need in your target language? A mastery of your target language is a must. 5) Do you master the software tools you need to deliver your project? If you feel you are struggling with a software program, e.g., a CAT tool or a word processor, invest a little bit of your time every day toward mastering it. 6) Do you know the country/countries in which the translation will be published? If your client asks you to translate from English into French, is the translation for Belgium? France? Canada? Do you feel confident writing for those countries? 7) Do you know the purpose of the translation? Knowing the purpose of the translation will help you figure out which register you should use. Ask your project manager/direct client for any in-house reference files that can help you better understand your client’s preferences. In addition to industry terminology, plenty of companies in each industry use their proprietary terminology. Here is where you dig deeper to achieve a thorough understanding of your source text. 8) Do you follow the client’s instructions? Did the client ask to use a specific formatting style or template? Always follow the client’s instructions. Communicate with them if you have any doubts. 9) If the source file is in .PDF format, did you ask your project manager if you could run it through PDF to Word conversion software? Special care is needed here: scanned files can require a lot of post-processing to produce an editable file you can work with and deliver to the client as a quality end product. It is sometimes advisable to translate from scratch in a word processor. 10) If you use a CAT tool, are you constantly referring to your original source file? Sometimes, the order of the segments in a CAT tool file can be misleading. Always check the original source language file to make sure you properly understand the text structure. 11) Do you read each sentence of the source text before you translate it? Even when you are pressed for time, read each sentence completely before you translate it. The text will sound natural in your native language and will not follow the conventions of the source language. This will save you time during the review process. 12) Are you using common sense? For example, if you are translating “engine specifications” into French, do you know whether the author is referring to one single engine or several of them? Sometimes, you can find out with a bit of research. At other times, you can only know the answer by asking your client. 13) If you encountered any ambiguous items, did you clearly identify them and ask your project manager about them? Research any concept you are unsure about and don’t be afraid to ask your project manager any questions you might still have: e.g., do you understand all the abbreviations in your source text? 14) Are you abiding by all the conventions used in your native language? For example, to indicate a monetary amount, English requires that you write the currency symbol first, followed by the amount. Find out what the experts in your native language do: how do they represent amounts? 15) Did you take extra care to write all proper nouns and numbers correctly? 16) If the source text contains a quote, did you check if the quote exists in the target language? If you translate a quote from a piece of EU legislation, for example, look for the corresponding official translation of that quote in your target language. If the deadline allows, always perform your first review the day after you have finished your draft version. 17) Did you translate everything? We are not robots: always check for missing words, sentences or sections. 18) Can you understand everything you wrote? If you have to read a phrase or sentence twice to understand what you wrote, this may be an indication you need to rework it. 19) Do you have the correct register? Take this opportunity to check your register. 20) Are your headings correct? Headings can be tricky to translate. Now that you have a complete understanding of your source text, always take a critical look at all translated headings in the document to make sure your rendering is relevant in each case. 21) Did you correct any obvious mistakes? Now is your chance to catch any obvious or glaring errors. If you’ve been able to postpone your review for the following day, they should jump out at you. 22) Did you pay attention to false cognates? E.g. “library” (English) and “librairie” (French). 23) Did you follow all standard conventions in your mother tongue? For example, what are the conventions for writing a list in your target language, or for executing quotation marks, or for comma, period, colon and semicolon placement with respect to closing quotation marks? 24) Did you pay attention to the text layout and fonts? Make sure you reproduce the original layout and formatting, including but not limited to fonts, font colors, point size, highlighting, boldface and italics, as closely as possible. Again, if you use a CAT tool, referring to your original text will help you quickly find any special formatting that you need to reproduce. You have really mastered your subject by now. This is your last chance to check for complete accuracy between the source and target texts and make sure you have followed all the client’s instructions. While performing a complete bilingual review, focus on the next items. 25) Did you correct any minor translation errors or omissions? You are now mastering your source text. Here is your chance to focus on the details. 26) Did you check for consistent use of terminology? If you work with a CAT tool, use whichever consistency checker is built into the system. You can use the automatic search function (Ctrl + F keys in Windows or cmd + F in Mac OS) to identify any needed changes. 27) If you are working with a CAT tool, did you use its integrated consistency checker? Always use all of the utilities and checkers in the software that will allow you to spot any mistake you haven’t caught before. 28) Did you run an automatic spell check? Run a spell check in your CAT tool. If its spelling checker is poor, copy/paste your text into another application that can check your spelling and run a spell check in that software. 29) Last but not least, did you check whether your translation contains double spaces? Use your automatic search-and-replace function and replace double spaces with single spaces where they are inappropriate.. Here is your opportunity to put yourself in your audience’s shoes and read your translation as if it had been written in your target language in the first place. While reading your translation, focus on the next few items. 30) If you used a CAT tool, did you preview your translation in the original file format? Make sure all text of the target file is displayed in a legible form for your end client. 31) Does your translation sound like it was written in your native language in the first place? 32) With respect to pronouns, can the reader clearly identify what they refer to? Always check for consistency and flow from one sentence to the next, and from one paragraph to the next. 33) Is your register appropriate for the type of document you are translating? You may have to either stick to the source text (e.g. legal texts) or brighten your style and play with the way you start your sentences and paragraphs (e.g. marketing content). Here is your opportunity to catch any last-minute details. 34) Did you print out your translation and read it from the print copy? Nowadays, most people scan texts from a computer monitor, tablet, or smart phone. Reviewing a print copy of your translation is an experiment I recommend to every translator. 35) Did you read every word of your translation? Take your time…pretend you’re a sloth if you need to. Read every single word of your text to make sure you did not forget to write conjunctions such as “and,” or forget to insert a critical comma or delete an unnecessary apostrophe somewhere. 36) Did you pay extra attention to grammar? In my experience, many grammatical mistakes are not detected by automatic spellcheckers. You must read every single character of the translation to find these mistakes. 37) Did you pay extra care to homophones (“sound-alikes”)? Spell checkers don’t catch improper substitutions of “their” for “they’re,” “women” for “woman,” etc. 38) Did you use consistent punctuation and capitalization? Checking these items in a printout of your translation makes all the difference. Your eye will catch these types of mistakes more quickly than on a screen. Here is your last opportunity to advise your project manager with any special instructions for the reviewer/end client. 39) Did you clearly indicate any unresolved items or translation decisions to your project manager so that the reviewer/direct client is made aware of them? If any concerns remain when it’s time to deliver the project, let the reviewer know about these items so he/she can pay extra attention to them. research work to the reviewer? Submitting your sources to the reviewer will show you took the time to fully understand the source text and choose the right target terminology. translorial posted this article under Continuing Ed., Reference, Translation, Worthy of a Visit	on Tuesday, January 23rd, 2018 at 6:08 pm	You can follow any responses to this entry through the RSS 2.0 feed. You can leave a comment or trackback from your own site. I just came from presenting at the Atlanta Association for Interpreters and Translators and had the chance to attend a session about Industry Standards by Loana Denis, and I want to thank you for sharing this article with new and seasoned professionals alike! It’s so much easier to start right rather than have to shift gears, but it’s never too late! I’m appalled at the lack of awareness and your article fills in the gap with clarity and detail. Kudos!